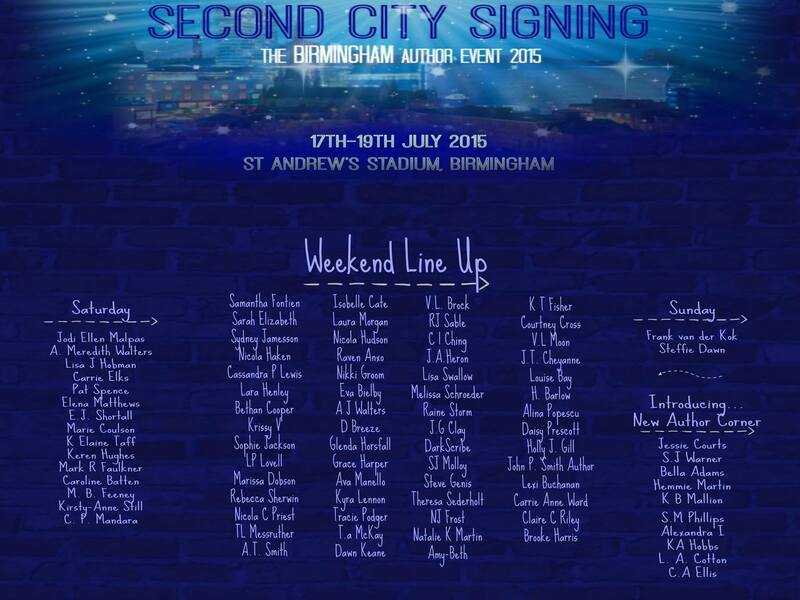 Next July, I’ll be in Birmingham for the Second City Book Signing event, along with loads of other awesome authors. Tickets go on sale December 1st, so, if you’re around it’d be great to meet you. And not look like a Billy No Mates! You can join the Facebook event for the ticket launch by clicking here. Check out the line up below…hope to see you there!